At Bonaire I did the PADI Open Water Diver course with a few friends. 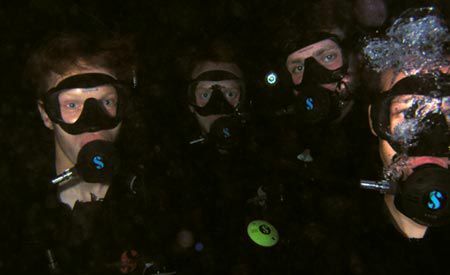 It was the first time I was scuba diving. Bonaire is known to be one of the best when it comes to diving. The complete island is dedicated to diving. The aquatic life is very beautiful and diverge, by day as well as by night. It's not strange that it says on every plate of the cars: Divers Paradise. There are many facilities for divers on Bonaire. We stayed at Capain Don's Habitat. It is situated directly to the sea, so it is possible to jump into the water just out of bed. Filling station, which can be used unlimited (air only), and a diving school are also available at this hotel. If you are not diving, the lounge will be a good place for you to meet other divers, drink a few beers and make appointments for next dives. It is easy to find a buddy this way. 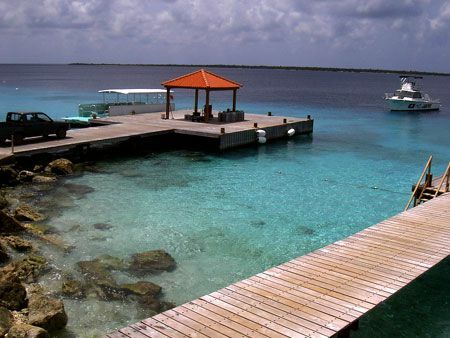 Be aware that besides diving, there is not much to do at Bonaire. 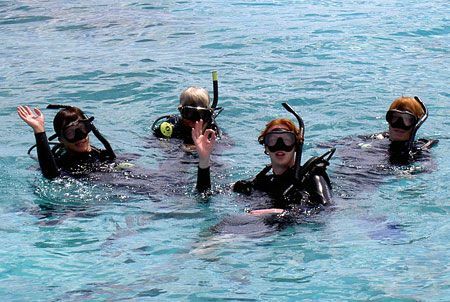 If you plan to go there with other people, make sure they can dive or are willing to learn it. The inner country of Bonaire is very dry and is much like a dessert.